Behind my own desk at home hangs the front page of the Wednesday 13 September 1939 Philadelphia Evening Public Ledger that I found under the carpet of my house in South Philly. Its headline: POLISH ATTACK TRAPS NAZIS. There's a photo of Polish boys & girls carrying shovels, on their way to dig trenches around Warsaw “to stop the German juggernaut.” This front page lives in a small moment of optimism — on the first day of the siege of Warsaw, twelve days after the start of the German invasion, six days before the start of the Soviet invasion. I look at it & I think about writing that headline. Did the author really think the Poles had trapped the Germans? These houses left historical texts as insulation. Palimpsests under the rugs. The house in Old News is a box out of which the speaker sees Philadelphia, his block, his neighbors, his wife, his life. Eckes writes, “i inhabit these rooms i respect / them but i don't own them” (“jogging the O”). I read Old News on a commuter train in Philadelphia, looking out of my moving box. my wife started calling the house “my baby” that's when i knew i had to get out (“after frank furness”). The box, the wife, the house, the “baby”— a terrible domus closing in. i grasp / for some religion, any obsession / to make my soul into a house. (“it’s philadelphia, and we try to demolish it,” “after frank furness”). Beginning in the first poem of the book, “no libs,” Eckes looks “out of my box” with a searing eye at the domestic politics of Philadelphia. The ‘us vs. them’ operates on several levels in this poem. Race : “let the asians / and blacks have at each other, say the old whites”; generations : “shrug- / ging themselves off to the young whites”; neighborhoods : South Philly vs. “northern / liberties on the other side of town”; even British vs. American English : “kids are actually small, smelly goats, terry eagleton, the british critic, / reminds us americans.” In the center of the poem, the speaker (“i look out of my box”) & the “kids from south philly high walk by, their shithole of a / school on their shoulders.” Everyone in their own boxes, carrying them. Everyone looking out from & hauling around their boxes. A painted strikezone. A box of air— it both is & is not there. 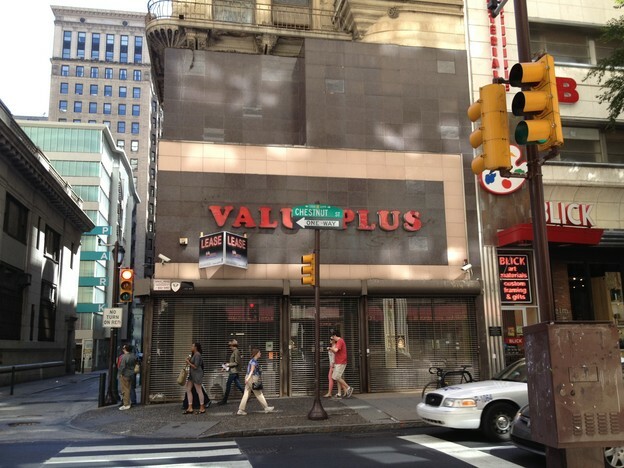 There are plenty of gutted boxes & bossworship & vicious domestic politics in Valu-Plus & Old News, but there is also Philadelphia, which, in Eckes’ work, can't be contained. There is the city as domestic city : companionship & community : poets, friends, shared wonderful experience (“a no-hitter / off dolph's kitchen radio still wringing / thru me”), lovers, coffee & beers, all the good things. All of “how we live this country” & “how to live in a fucked world” (“what are you swinging at”). & it’s all very wry, sincere, & open-eyed. It’s ticking all the boxes. subdomestictexts: I am writing these subdomestictexts to think out loud about unexpected domestic threads in contemporary poetry. For these Commentaries I am applying a wide definition of 'domestic,' an expansive definition that includes not only that which relates to house & family, but also how the idea of home connects to the larger world (a kind of 'domestic politics" &/or 'domestic poetics'). I mean the term 'subdomestictexts' to be related to 'subtext' & 'subliminal' (we are not concerned with a text as domestic, or a text is outside of the usual notion of domestic). PATTIE MCCARTHY is the author of six books of poetry— nulls, from horse less press (2014), and the following five from Apogee Press: Quiet Book (forthcoming 2015), Marybones (2012), Table Alphabetical of Hard Words (2010), Verso (2004), & bk of (h)rs (2002). Recent chapbooks include x y z && (forthcoming fall 2014 from Ahsahta Press), scenes from the lives of my parents (Bloof Books 2013), & fifteen genre scenes (eth press 2014). A 2011 Pew Fellow in the Arts, she teaches literature & creative writing at Temple University.